The FIFA U-17 Female World Cup draws held in Jordan yesterday pitched the Nigeria Falconets against Brazil, England and Korea. Expectedly, the draws have thrown up different reactions from various stakeholders and lovers of the game across the country. Reacting to the draws, Mojeed Adegbindin, a member of the Lagos FA, was confident that the Falconets would survive the group and move ahead to improve upon its previous outings in the tournament. 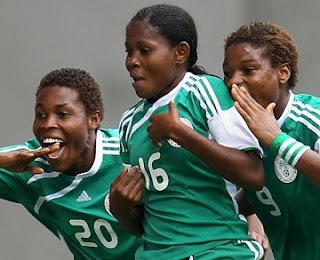 "I am optimistic about the chances of our girls at the World Cup,"Adegbindin stated. "You should not forget that this country is immensely blessed with quality soccer talents. And in view of the steady growth of youth football in Nigeria, particularly with the impressive template from Lagos State, I am sure our girls would do us proud at the World Cup, " the amiable football administrator also fondly known as Eshin, enthused confidently.